AC, TV, Room Service, Travel Desk, Loundry, Car Parking. 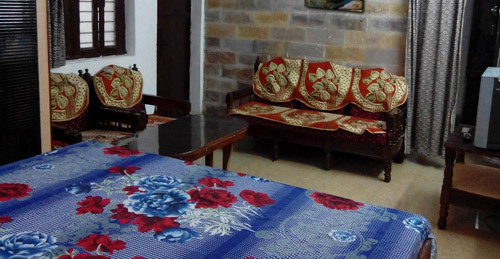 Ganpati Guest House is a boutique property Ideal for both the business visitor and for families visiting Varanasi, India.It has been totally refurbished to high standards, with 20 comfortable bedrooms tastefully decorated and with Attached Bathroom and Air Conditioning. AC, TV, Room Service, Travel Desk, Loundry. 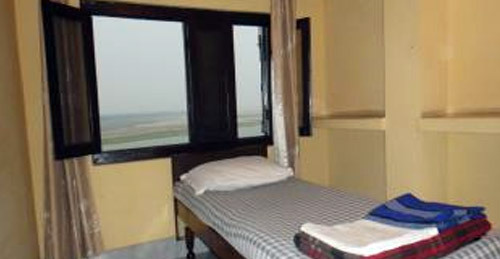 Situated ideally in the crescent on the left bank of The Holy Ganges, the TheScindhia Guest House is just adjacent to Manikarnika offering excellent panoramic view of the river on both sides. With 26 rooms, this property contains all the amenities and services you would expect from a 3* Hotel. Fan, Room Service, Travel Desk, Loundry, Car Parking. 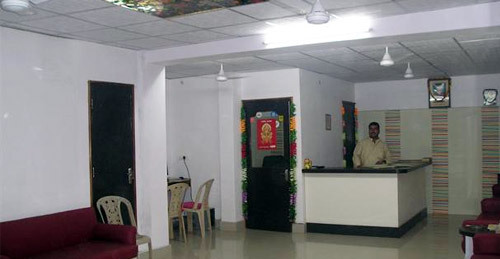 Om Guest House “A HOME AWAY FROM HOME” in holy and cultural city of Varanasi, is situated close to Ganga river aside from main road just behind Lord Jagannath temple at a very peaceful atmosphere. 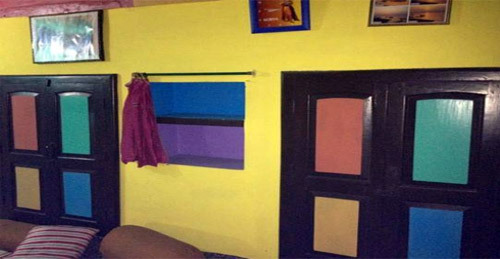 Monu Family Paying Guest House is located right in the epicenter of the old part of Varanasi. 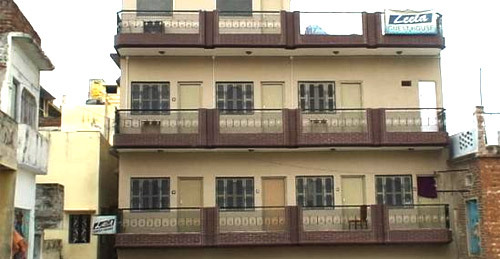 There are 5 rooms for rent , with 3 double bedrooms and 2 singles. 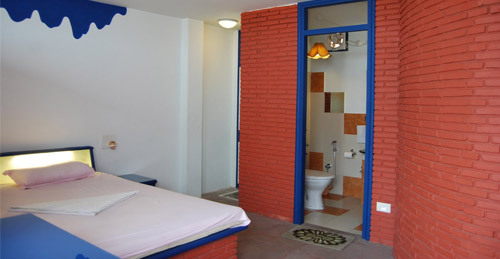 Double rooms have attached bathrooms with facility of hot and cold shower, free wifi internet in rooms and comfortable beds. Situated in the heart of the ancient ChausatthiGhat of Varanasi, it is just walking distance from the major tourist movement streets. There are total 15 rooms, newly renovated and very clean. The Teerth Guest House is situated in the lane next to Kashi Vishwanath temple and Annapurna temple, in the old lane of – KalikaGali. It is the most widely chosen guest house by the tourists because of it being present in the ancient part of city. It has total 26 rooms. AC, TV, Direct Dial, Room Service, Travel Desk, Loundry, Car Parking. 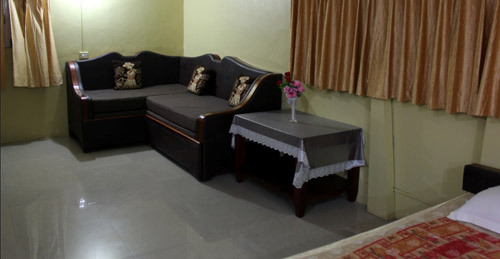 Rudra Guest House is newly opened (December 2010) guest house located in the heart of Varanasi. The staff at Rudra Guest House will ensure that your stay is enjoyable with modern, comfortable and spacious bedrooms (AC and non-AC) and all with western style suites. Rahul Guest House enjoys a convenient location just 200 meters from the Ravidas Park. It has a restaurant, a spa and provides massage services on site. Wi-Fi is available for free in public areas. The rooms at Rahul Guesthouse are beautifully decorated and fitted with freshly laundered beddings. They have a flat-screen TV, an attached bathroom and a private balcony. 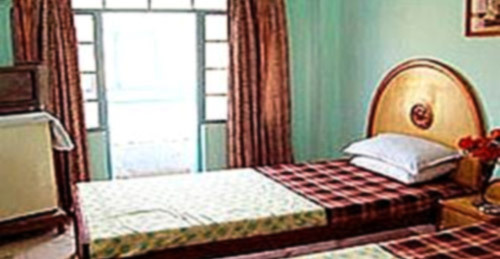 The Puja Guest House is a small high-quality establishment. The hotel’s location is ideal for travellers wanting to visit the famous sights of the Holy River Ganges, yet is also close to the city’s business center. 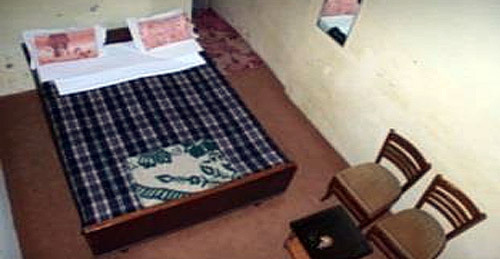 The Guest House has 34 Double room with Ac & attached bathroom. AC, TV, Room Service, Travel Desk, Loundry, Car Parking, Yoga Meditation, Ayurvedic. The Guest House is located at “ManikarnikaGhat” which is between “DasashwamedhGhat” & “SindhiaGhat.. The property has 32 Double room with A/c & attach bathroom. 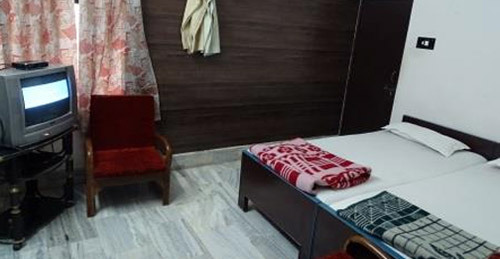 Leela Guest House, formerly known as " Leela Paying Guest House", is situated in MansarovarGhat in the holy town of Varanasi,central to it's vibrant activity and life.10 rooms are available, all rooms include attached bath with hot shower, and power backup to support guests during power cuts. 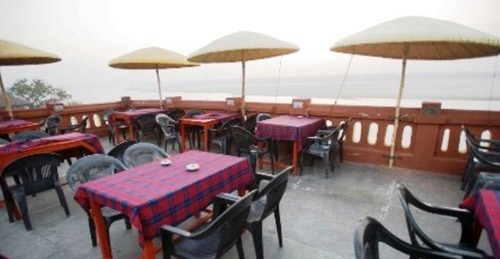 The guesthouse has an excellent rooftop restaurant, perfect for enjoyment of the Ganga atmosphere while tasting a delicious meal. 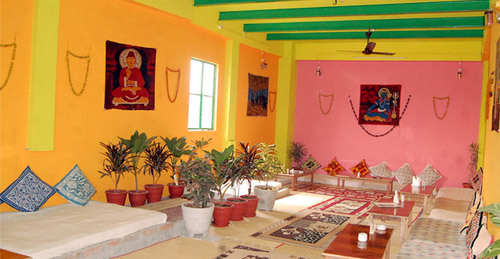 The Guest House is situated on the bank of Holy River Ganga, at Assi-Ghat. They have 11 rooms 9 of which are air-conditioned. Some of the rooms have their own balcony from where guests can enjoy the breath-taking view in privacy.